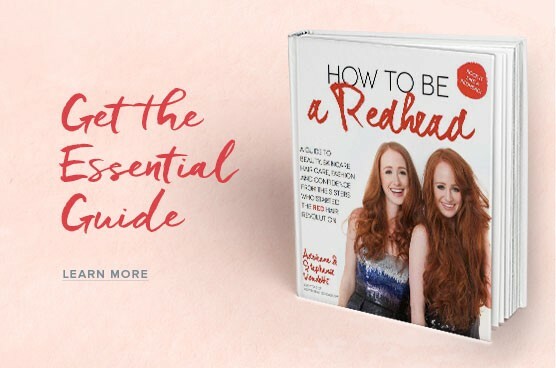 Q&A with author of "Wig ED: What To Look For When Looking For a Wig"
We’ve talked a lot about redhead wigs because many brave redhead women have shared their hair-loss stories with us, whether it was due to cancer or another reason. It can be very difficult to find a red wig because the hair color is incredibly rare. And, good quality red wigs are simply hard to come by. We spoke with Jeanna Doyle, the author of Wig ED: What To Look For When Looking For a Wig, the first book of its kind to offer valuable insight into finding a fantastic wig. Doyle is a veteran makeup and hair stylist with over 25 years working in medical and media settings. 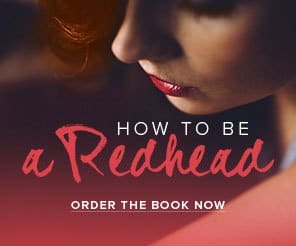 H2BAR: What would be your top tip for a redhead interested in getting a wig? JD: Redheads from the palest strawberry blonde to the deepest and richest reds are at a significant advantage when looking for a wig. Almost all wig manufacturers skew their line to the warmer side because, and as every redhead already knows, these are really flattering colors to the skin. The number one tip for anyone shopping for a wig is to shop with a friend, someone who can try on wigs with you and offer you advice and support. H2BAR: Where can a redhead purchase a wig? 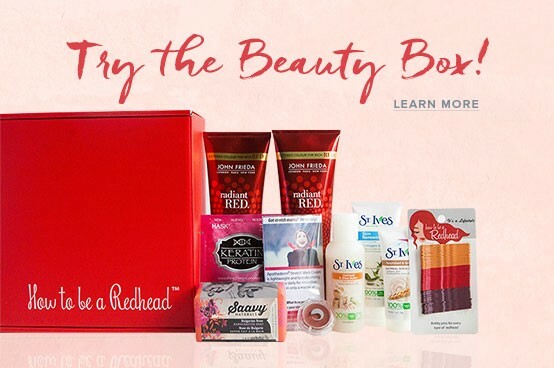 JD: Online or in stores, redheads will find a wide variety of colors and textures to match their natural hair or maybe they will be inspired to try something new. I prefer shops that permit you to try on several wigs so call ahead to make sure the store is wig-buyer friendly. Good websites to look for wigs are wigs.com and www.voguewigs.com. 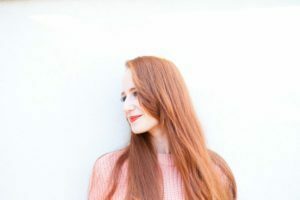 H2BAR: What do redheads need to do to make sure the wig closely resembles their natural color? JD: The best way to match your natural hair color is to bring a sample or picture of your hair (taken in natural daylight). Make sure to look at the wig on your head in direct daylight and wearing as little foundation as possible. This will give you the best color reading. Also, if the store permits photos this can be a great way for a side-by-side comparison. H2BAR: How do you make sure the wig looks natural and not so much like an actual wig? JD: One of the biggest telltale signs you are wearing a wig is that it sits too far down on your forehead. Make sure you have a proper fit and you line the front edge of the wig with your natural hairline. For this reason, it is also good to have a wig with some bangs or fringe around the hairline, which will offer more forgiveness. There are some wig grip type accessories that can help with slipping to make you feel more secure. 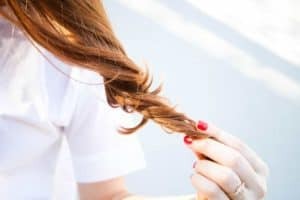 H2BAR: How do you care for your wig(s)? JD: A synthetic wig is a wash and go option that can be washed in your favorite shampoo and rinsed with cool water hung upside down to dry. Water-soluble styling products are recommended. The synthetic wig will retain its shape once washed. The human hair wig or blend of human hair and synthetic wig needs to be treated more like your fine washables using paraben free shampoo and alcohol free hairspray and styling products. Like your own hair, the human hair wig will need to be restyled once you have washed it or it gets wet. See manufacturers directions on both.